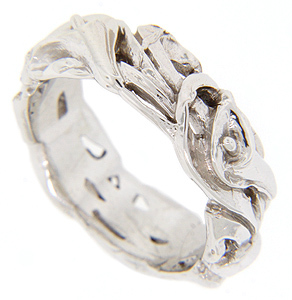 Curving flowers span the circumference of this 14K white gold antique style wedding band. The band measures 7mm in width. Size: 5 3/4. Cannot be resized but we can reorder in any size you wish.